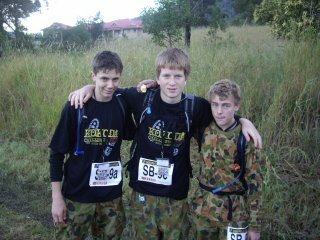 Starting at 7 am on Saturday I was 1/2 of the Support Crew for my son Harry’s Kokoda Challenge walk team – the team consisted of 4 14yo lads and their teacher (Mr Hogan whom I blogged about below). The 96 km walk was to be completed in less than 39 hours. Harry’s team didn’t sleep (like the majority of teams) and completed it in just under 30 hours. They trekked all day and all night and a good chunk of the next day. They trekked whilst exhausted, cold, hungry and injured. Over the years I’ve completed Ironman Triathlons, ran marathons, competed in marathon swimming races, cycled 1,000 kms in 7 days……the list goes on. I’ve done a fair bit. But nothing I’ve ever done – Ironman Triathlon included – even comes close to the trek that these guys did. To think the boys are just 14 is amazing. 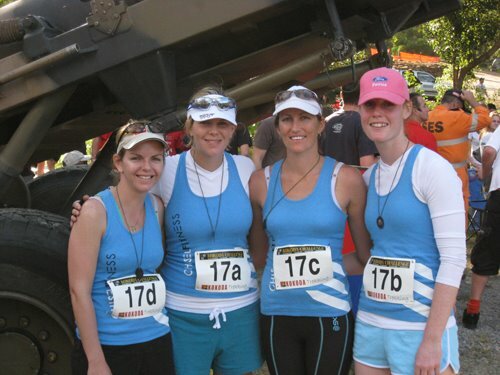 When the team finished at 12:36 pm on the Sunday afternoon I was exhausted…..and I hadn’t even walked! Jo here in the office also completed the walk and is feeling a little tired and sore this morning – she has a much shorter walk in 2 weeks that she’s been preparing for over a year now. A ton of effort has gone into her preparation. Instead of walking boots and trousers, she’ll be wearing a white dress and snazzy shoes. I think she’s looking forward to that little walk up the aisle more than the 96 km walk she just did. Congratulations to Harry and his team. That must have taken some serious intestinal fortitude to complete. I’d love to hear how they dealt with the pain and their motivation. I look forward to next year when you do it Brendon. I’ll donate $100 to your favourite charity! LOL. 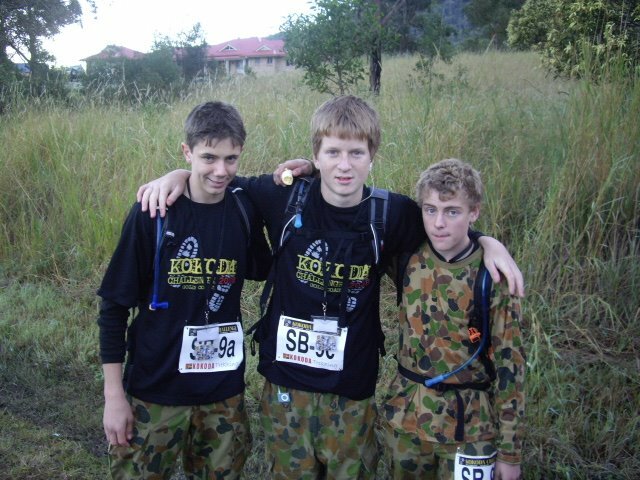 I meant donate to the Kokoda Challenge of course. Mate, I can just about guarantee that’s 1 challenge I couldn’t do! Unbelievable to just keep walking, walking, walking like that. Amazing effort by a young team to do it and great stuff from their teacher. Hmmm you are smarter than you look. Yeah OK I was trying to set you up.